Westside Market, a popular local home décor store, will soon open a second location. Adding to their existing flagship location on Ellsworth Industrial Avenue will be a new location at Toco Hills shopping center. Westside Market at Toco Hills is expected to occupy most of the former Department of Labor space and is expected to open in the fall. As first reported by Tomorrow's News Today - Atlanta, the DOL relocated to Decatur last month. At 14,000 square feet, the new store will be far smaller than its original location, which measures 85,000 square feet. 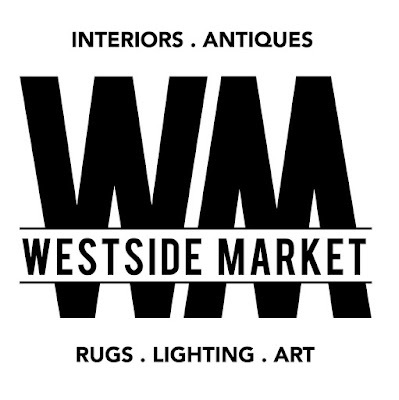 "Where New Meets Old" is Westside Market's tagline, as it features an always changing variety of furniture, rugs, antiques, vintage items, lighting and art. The Ellsworth location, which owner Abe Molla opened in early 2013, reportedly features nearly 100 individual merchants, whereas the Toco Hills location, given its size, will most likely feature a smaller, more curated assortment. I was unsuccessful in reaching Molla by phone today to confirm whether the store would adopt a new name for its new location. Sources, however, indicate that the store will retain its Westside moniker. About four weeks ago, Molla posted to his LinkedIn that he was opening a second location and in search of a qualified store manager. In some ways, Westside Market is similar to Kudzu (with locations in Decatur and Sandy Springs) and Paris on Ponce, on Ponce de Leon Avenue, adjacent to the Atlanta BeltLine. Edens, the Columbia, South Carolina-based real estate firm, signed a 35 year ground lease on Toco Hills in late 2015, and has since forced out or not offered lease renewals to a number of longstanding tenants. Among the recent closures at Toco Hills are Shoe Center, Famous Pub, Petite Auberge, Young Chefs Academy, The Georgia Department of Labor and Toco Hills Coin Laundry. The Nearly New Shop is slated to close this coming Saturday, April 30th. Petite Auberge "merged" with nearby French restaurant Violette and has since reopened as "Petite Violette." Young Chefs Academy "moved" to Howell Mill Road. Spiller Park Coffee, a full-service café from Dale Donchey and partner Chef Hugh Acheson, is expected to open later this year in a portion of the former Shoe Center space. The Local Pizzaiolo, a new restaurant that will serve authentic Neapolitan pizza, is also expected to open later this summer in the former Toco Hills Coin Laundry. Hudson Grille, a local sports bar, expects to open in early September in the former Famous Pub. As I reported last week, Crim & Associates is in the process of building a new, three suite, 12,500 square foot center, the "Shops at LaVista" in the front of the Kroger at Toco Hills. This post, like many that I have written about the area, has been viewed and shared thousands of times and has been met with mixed emotions. Surprisingly, despite the Edens website including lines such as "We understand our responsibility to help build and support the communities we serve," the firm continues to ignore Tomorrow's News Today - Atlanta, a local news source with deep roots in the Toco Hills community, when announcing new leases. Are you excited about the upcoming opening of Westside Market at Toco Hills? What would you like to see open in the remaining portion of the DOL space? What would you like to see open in place of the Nearly New Shop? Disgusted at the reported clearcutting of the last remaining large trees along the LaVista side of the mall. Disgusted. This part of town is severely under-served by furniture / decor stores. If you live in Decatur / Oakhurst / Lake Claire / Druid Hill / Candler Park / etc then you have to cross town or head up to Buckhead. This is a welcome addition to the area. I want the old Toco Hills back! Ben FRanklin, Colonial, Super X.
I hope that was a sarcastic comment. Why would you want Ben Franklin, Colonial, and Super X back? Excited to see Hudson Grille, The Local Pizzaiola and West Side Market, although they should re-name this location East Side Market, right?